SPAY and NEUTER - How OLD should my dog be? 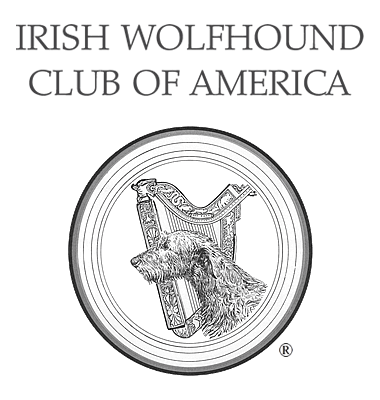 - Irish Wolfhound Club of America, Inc.
SPAY and NEUTER - How OLD should my dog be? Not long ago, this was an easy answer!! Shelters, veterinarians and breeders all seemed to basically agree. Today, this answer can be a very complicated with many different viewpoints of what is best for your dog. Bottom line, here is some information to help guide your decision from breeders, companion owners and veterinarians who all own Irish Wolfhounds. There is NOT ONE ANSWER perfect for all wolfhounds in all situations. A general recommendation is to delay spaying or neutering your dog until sexual maturity or at least after the growth plates have closed. The average veterinary practice recommends spaying and neutering pets at six months of age, but most IW breeders will recommend delaying this surgery until 18-24 months. Neutering usually refers to the procedure on the male dog involving removal of both testicles. Technically, the term can be applied to sterilization of both sexes. Spaying refers to the surgical removal of both the uterus and the ovaries. There are some significant advantages to neutering your pet. It eliminates the possibility of pregnancy and the requirements of keeping your female away from intact males during heat cycles. It eliminates the possibility of pyometra (pus in the uterus) which can be life threatening. It also reduces the chance of mammary tumors. Some behavior specialists will recommend neutering an animal who has any aggressive tendencies, but this is not always successful with all behavior issues. Recent research has revealed some disadvantages to neutering your pet especially before sexual maturity. There is no definitive or easy answer from current research and new information is coming to light every day, but we are seeing some trends. Studies show sterilized animals seem to be at greater risk of osteosarcoma than intact dogs. In general, the risk increases when the procedure is done under one year of age. Osteosarcoma is a significant health issue in Irish Wolfhounds, and is responsible for 1 in 5 deaths. Early sterilization can cause a delay in growth plate closure (normal closure is about 14 months of age) creating some changes in physical conformation leading to the possibility of orthopedic issues. Some research has demonstrated increased incidence of rupture of the cruciate ligament in the “knee” in altered dogs particularly those neutered before sexual maturity. These are just a few of the issues coming forward as a result of this new research. If you want to learn more about these procedures, your options and the studies involved, please read these advanced articles. You may want to print these off to bring to your veterinarian to discuss. This page was last updated 02/13/2019.